Kerman High School student's bid to get actor Tom Hanks to the big game didn't work, though Hanks will be there on the big screen. KERMAN, Calif. (KFSN) -- Kerman High School student's bid to get actor Tom Hanks to the big game didn't work, though Hanks will be there on the big screen. Kerman High students deserve an oscar for their campaign to get tom hanks to homecoming. Hanks is on location shooting a movie but recorded a special message for the school which will air during halftime. 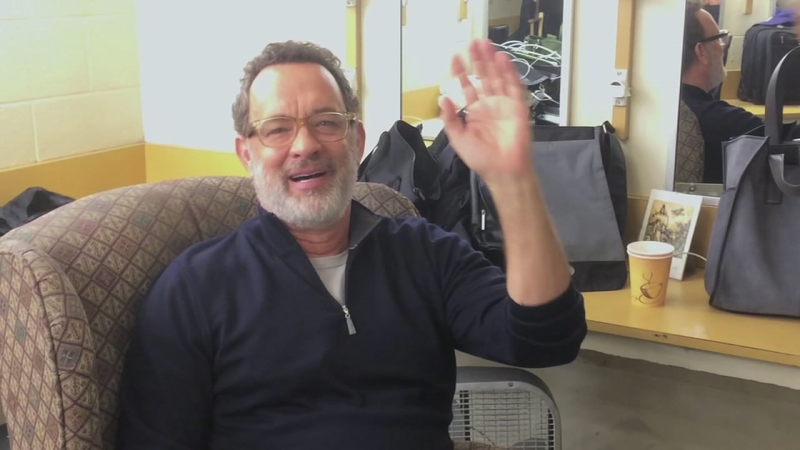 "It's 7 minutes and it's geared directly towards our kids and it's typical Tom Hanks. It's well-written. It's well done," said David Bakholdin, Leadership teacher. In Kerman the entire town celebrates homecoming. It all starts with a parade through town. The Tom Hanks homecoming tribute features a toy story float for the juniors. Sarahi Nunez, Kerman High junior, said, "Definitely proud. Obviously we weren't expecting a response for quite a while from Tom Hanks and then all of a sudden he replied two weeks later. Are you serious?" The seniors are going with a "Forrest Gump" theme. Sophomores selected "Big", while the freshmen will act out a scene from "League Of Their Own." "I think it's like once in a lifetime. We're going to remember this for a long time, just going to look at it and remember it was Tom Hanks who paid attention to our school," said Sandra Leon, freshman. The fact the hollywood star even replied to the social media campaign fired up the entire student body. "Oh my gosh, I just wanted to tell everyone, guys Tom Hanks recognized us," said Braeden Hergengroeder, freshman. Tom Hanks won't be there in person but the husband of Principal Pam Sellick will be there. His name is Tom. "Tom Sellick will be here. I bought his ticket and he will be here this evening. Happens to be my husband," said Sellick. The kids believe eventually Hanks will make his way to Kerman. It's an open invitation. Actor Tom Hanks sends a video message to Kerman High school for the homecoming after a large social media campaign to get the actor there.